When Day6 announced its yearlong monthly song release project “Every Day6” in December last year, a spell was cast. Fans have been waiting for the group’s new songs every day for the past year, sharing the joy of filling in the 12-piece puzzle along with the band. And with the year-end album “Moonrise,” Day6 has finally completed the world it has been dreaming of with one last remaining piece. With heart-thumping sounds and upbeat rock melodies in the opener, “Better Better,” Day6 proves how it has been able to carve out a special niche for itself in the K-pop scene. The sounds of drum, guitar and bass are intense and strong, yet warm and energetic vocals sparkle on top of the instrumental thickness. The true gem of the album is rock ballad “I Like You,” the lead single off the album, and it’s among the best works the group has ever done. 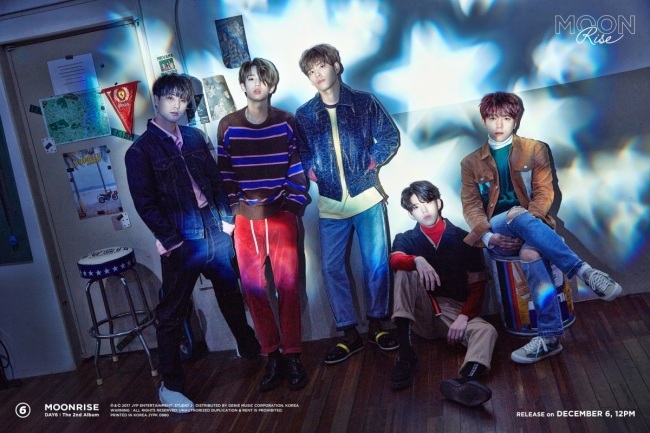 While staying true to its identity as a band, Day6 has focused on honing its gift for tight hooks and explosive vocals. The romantic song is like a Christmas present for the ears, catalyzed by a part where the vocalists ascend to the chorus, hailing “I Like You,” full of emotion. Finally “I Will Try,” a saccharine song about a mother’s unconditional love created by Wonsik, may have listeners in tears. Since the group’s debut in 2015, the five-piece rock band has wowed fans by filling albums with self-created music. 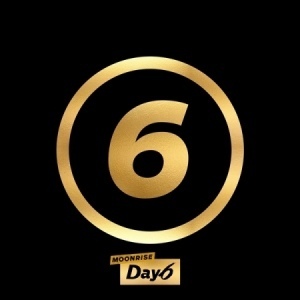 The last 12 months are proof of Day6’s dedication and unwavering faith in music, resulting in “Moonrise,” the band’s best album this year.